Nutella is a loved chocolate-spread in our household. It's divine. 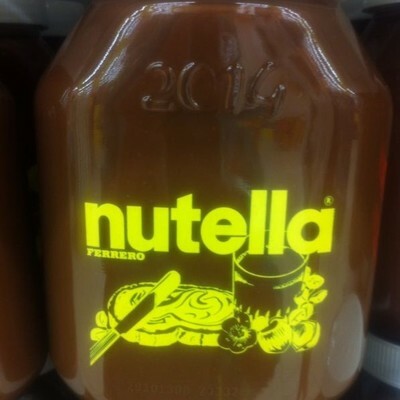 I found this new, limited-edition Nutella only yesterday, and - after being sucked in by promotional tactics - I bought it. Admittedly, this tub of Nutella tastes just like a standard tub of the classic spread, but it was just divine after a full tablespoon was spread on my toast. Nutella is a mild, sweet, nutty chocolate spread, which is loved the world-over because of its perfectly balanced taste.